Getting your site to rank in Google searches can be a tricky, frustrating endeavor, but like anything, the more you do it the easier it gets. 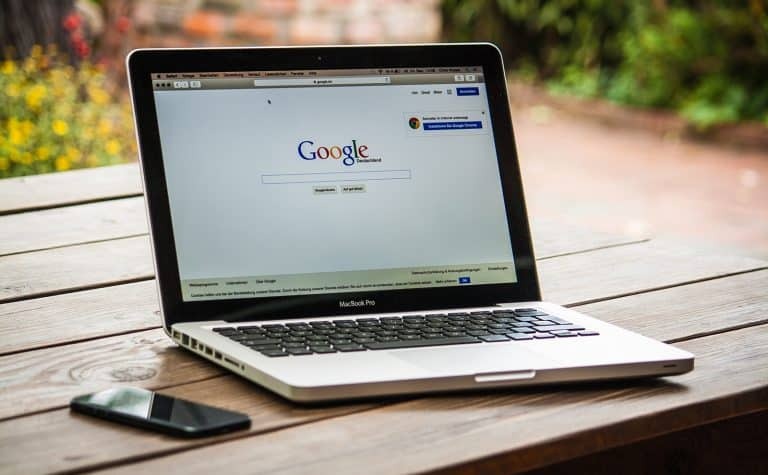 To get started, it’s important to know a few SEO tips and tricks to help you quickly get started with optimizing your website so it complies with what Google is looking for so it becomes easier to be found on their search engine. There are some basic aspects that you need to include with your website, many of which you may have never thought about before. 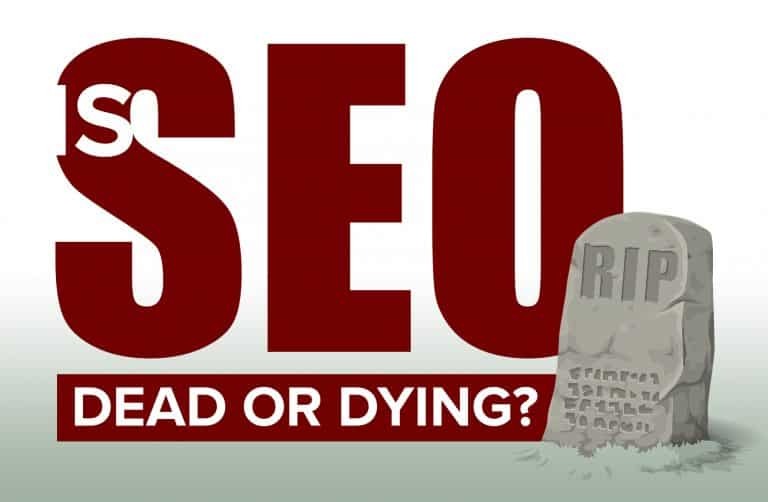 Learning rudimentary SEO can significantly benefit your website. 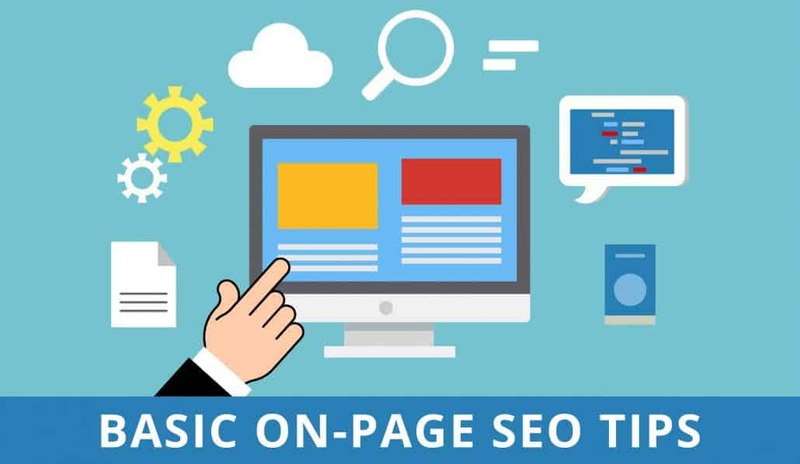 Here are some basic on-page SEO tips that can help with your site’s Google rankings. When doing on-page optimizations, I like to make sure I write down what the page had on it before making any changes, that way I can see if the changes increase or decrease the traffic so I can make sure I’m not undoing a ranking factor I’m unaware of. Sometimes your page is ranking for something you may not be aware of, by comparing, you can often find out what has changed. However, if you haven’t done much to your page and it isn’t ranking well, there are a few things we can do to encourage that. There are a few things that apply to all H-tags. First, let’s talk about what an H-Tag is. 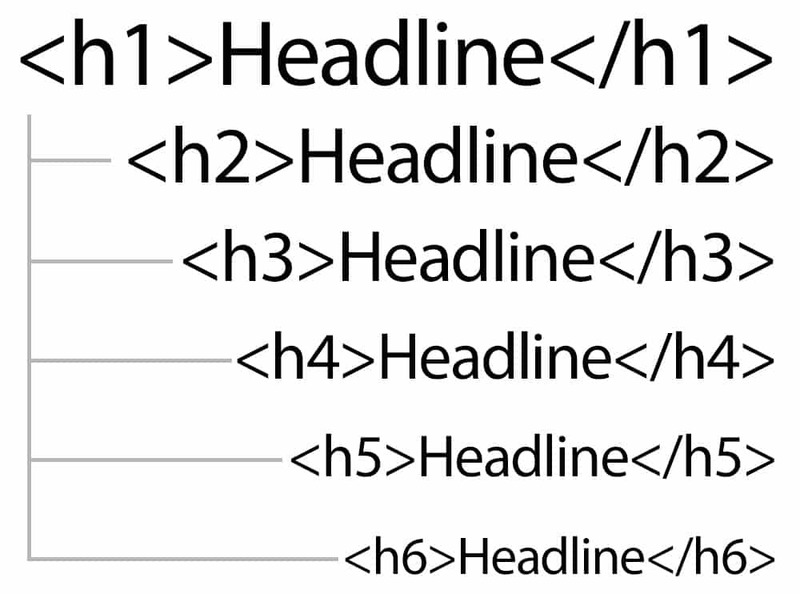 An H-Tag is simply the code that surrounds some text on your page, usually headlines when used properly. There is value in using H-Tags in your content as it does carry ranking weight. These tags usually look something like this, in their most simple form. Don’t bold your H-tags, because bolding them may actually hurt your rankings. However, you should also ensure that you use these tags. You should never keyword stuff in any scenario, but placing keywords naturally into the tags can be beneficial to your site’s rankings. The H1 Tag is the first signal to Google on what you web page is about. Make sure it’s enticing and if possible, contains one of your targeted keywords. Another example regarding H-tags is present on this very page. The phrase “Basic On-Page SEO Tips to Help your Site Rank Higher” is the H1 Tag of the page. The “H-tags” segment is an H2 tag, along with “Images,” “Interlinking,” “External Links,” “Meta-description,” and “Categories and Tags.” The segments dividing the H-tags section (the H1, H2, and H3 tags) are the H3 tags of the page. It is important to use images, videos, and other multimedia elements to bring attention to the webpage. Consumers are drawn to multimedia, which is why Google uses the presence of multimedia content as a ranking factor. Additionally, you should ensure that the file name of the image is a relevant keyword for the page. If it has previously been uploaded, you will have to reupload it with that name. Otherwise, upload it with the new file name. It’s best to make sure your images would be named similar to what the post is about. 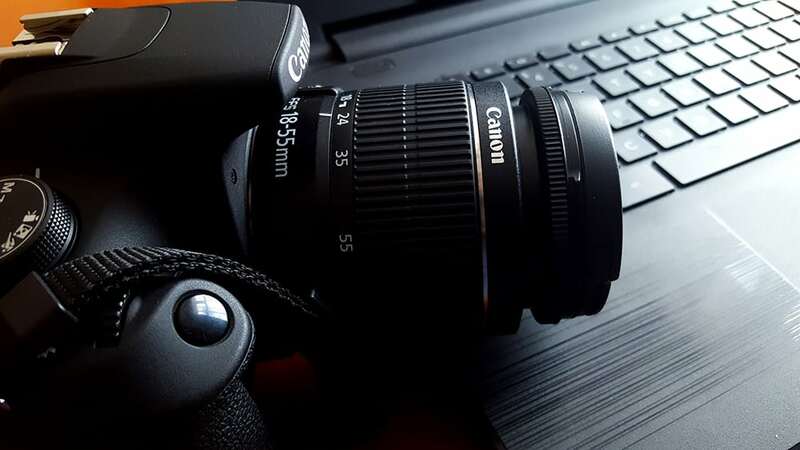 For example, you might want to use “photography.jpg” instead of “IMG0006759.jpg” since Google actually will take note of the image names and they can become ranking factors. Image sizes play a signifigant role when it comes to on-page seo factors. The size of the image directly influences the page load time which is a large ranking factor Google uses to rank your site. If you have large images that slow down loading time, it can directly affect your rankings. It’s also important to understand that just because you may not notice the load time, it doesn’t mean Google won’t. Use a service like GT Metrix or Pingdom to determine how long it takes to load an image. You can also see file sizes directly in WordPress under your Media Library. If you have a large photo that needs to be resized, the best option would be to reduce the size before you upload it in a program like Photoshop. However, if you don’t have access to any photo editing software, you can reduce the size before uploading using tinyjpg.com and then resizing the image once in WordPress. Once again, I suggest reducing the size before upload if possible. Still talking about image sizes, once uploaded it is also good practice to have an image optimization software like Imagify running. This will further help compress images upon upload and can even resize them if they are over a certain pixel width. I like running this software because it can help reduce the size of previously uncompressed images that where uploaded and sometimes further reduce an image currently uploading without compromising the quality. Alt tags are an incredibly important part of SEO for images. Alt tags are the tag that tells Google exactly what your photo is about. Describe the images in a few descriptive words and include the keyword if possible. This tag is the alt= attribute and can be easily modified in the WordPress Media Library. Many people have heard about the importance of linking your website. I’m not going to get into backlinks since that is a bit more in-depth and we want to cover some basics you can do today. So with that, there are two other forms of links that can help influence your site rank too. These methods, in a nutshell, help your site rank your site. Strange phrase, right? That’s because we are using pages within your own website to influence the importance of other pages on your website. This is known as interlinking. The other type of link we will use to rank your site is known as external links. These are links that reach out to external resources or links that would allow users to leave your site. Now don’t worry, you’ll find that if your content is good, people won’t leave your site until they have received what they came for in the first place. The nice things about external links is you can increase the relevance of the article by supplying users links to similar content on other websites. Interlinking is when you add links between pages of your website. For example, if one of your blog posts references one of your products, you’ll want to add a link to that product’s page. If a page suggests that the consumer contact the company, you may want to add a link to the company’s contact page. Ultimately, you’ll want to have the most links to the most important pages of your site, because these links will cause them to rank higher than other pages of your site. External links are when you link to a site that contains something similar to the topic you are discussing. Try to avoid linking to competitors’ websites, because that can potentially lose you business. Make sure that the site you link to is a reputable website. This link creates what is known as a Link Neighborhood. If the site you link to isn’t reputable, Google will assume that your site lives in this “bad neighborhood” and it will negatively impact your rankings. Essentially, your site will be considered to not be reputable by association with the bad site. External links can help with your overall search rankings. The meta description is what the user sees on the Google search page. This provides a way for you to tell users what to expect from your website, as well as what the page contains. If this is left blank, Google will automatically fill it, and their description may be far from accurate or enticing. It is important to create a meta-description that is informative, inviting, and accurate. You should never lie or attempt to mislead consumers with your meta-description. Misleading consumers into clicking on your site will ultimately lead to them clicking away, which will hurt your Google search rankings. Additionally, a relevant meta-description will help drive consumers that are searching for your product to your page. Categories should be broad and general. You should try to limit the overall number of categories used on your website. Tags should be more specific and you can use as many tags as you like on your page. For example, an article describing proper tooth cleaning to prevent oral health problems should be categorized under “general dentistry” or another broad term. It can then be tagged with terms like “tooth cleaning,” “oral health problems,” “oral health prevention,” and more. The use of categories and tags is often likened to the makeup of a pizza. The basic crust is the category, like a pan pizza or stuffed crust. Then the many toppings and things that make up the pizza are the tags. These are just a few tips to help you understand some basic SEO principles. SEO can be frustrating. It is time-consuming and can be complicated, but it is necessary to help your business. The higher your site ranks in Google searches, the more traffic your website will get and the more likely you will be to obtain customers. 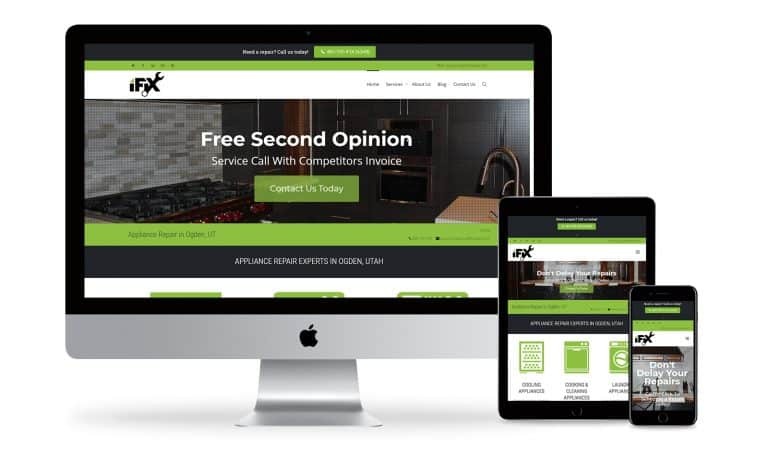 A professional company may be able to make ranking your website much easier. I’ve covered site speed in other articles but here we are again because it is so important. Site speed is one of those terms that Google has explicitly said they rank sites based on. There are two main sections that site speed comes down to and each brings it’s own issues to the table. The two are actual site speed and perceived site speed. Actual site speed is greatly dependent on the quality of hosting you use. I’ve used various hosts for my websites and each one behaves slightly different from the others. As of this writing, the majority of my websites are currently sitting on Siteground which has been one of my favorite hosts so far. They have quick servers, helpful staff, and I haven’t had any major issues. This can be one of the quickest ways to speed up your website if it’s running on any type of budget host. Simply switching to a host like Siteground or Bluehost can give you a sugnifigant boost in site speed. These arn’t the only two mid to high level hosts available. Just research your hosting, check their reviews (especially for support) and make your choice. Some others to mention are InMotion Hosting, I’ve used them in the past and they performed well and then there is also GoDaddy, though my personal opinion is that they aren’t my favorite when it comes to support, I’ve seen sites perform at various speeds with them. Currently one of my clients is on their platform and benchmarking very well. If you are looking for some ultra power when it comes to hosting, though it comes at a significant price difference, you can try WP Engine. I have a few sites that I’ll be moving to them here in the new future due to traffic demands and the processing powerhouse that comes with them. The perceived site speed is an entirely different beast and can be a bit more difficult to fix. Usually when the perceived site speed is slow, the actual site speed is also slow. You will also get this with budget hosting since they usually run slower processors and throttle bandwidth. The perceived site speed is when your website is loading and the users will actually notice it loading slow as well. If you are on an intermediate or higher host and still running slow, check your image sizes and plugins you are running. Often, your images will be too large and your plugins may be out of date or written by someone who is still learning to optimize their code. If both of those are optimized, you can also add a caching service to help speed up your website. Cashing will take the pages and images on your website and save them in such a way that they can be delivered to you as quickly as possible and at the smallest file size possible. The daunting task of caching your website has become simplified into a plugin. Each caching plugin may look different, but overall, the functions are similar. Try out various caching plugins to find your favorite. 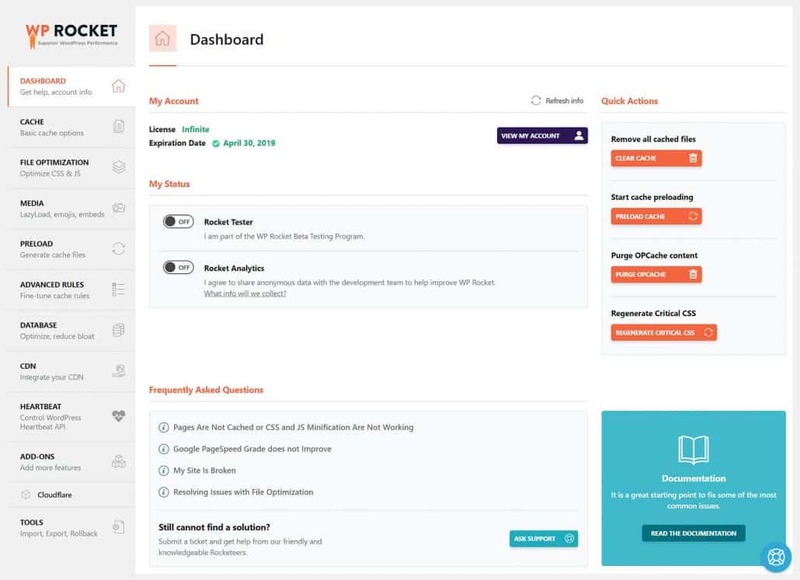 When it comes to free caching software, I do like Siteground’s SG Optimizer since it is designed to work directly with their servers and works very nicely, adds significant speed boosts, and they keep it updated. Another free condender is WP Super Cache, W3 Total Cache, and Comet Cache. I’ve used all three and they all have worked well, though they may not be quite as streamlined and sleak as my favorite caching plugin. For the majority of my sites I use WP Rocket if SG Cache isn’t running already. WP Rocket has a very clean and organized interface and steps your through the plugin with easy to follow tabs. I notice significant speed boosts on this plugin as well. Just understand that the speed boosts you may gain with a caching plugin may quickly dwindle as some of the settings do require advanced understanding and if not setup properly can break your website. Some of these features are things such as HTML and CSS Minification. As the saying goes, Content is King couldn’t hold more true when it comes to basic on-page SEO. All too many times I find pages during my site audits for clients where the page only hold 350 words or so. If you are going to do content, 500 is the minimum amount to go, but the information contained within must be direct and answer a question immediately. However, with more content, you can cover a topic more in-depth and provide more valuable content, answer more questions, and have an article that actually matters to the user. Remember when you are writing that articles are supposed to help your audience. If your articles don’t cover the issues they are faced with then the users will bounce quickly. As the web continues to grow and evolve, keywords are becoming less important than they used to be but they still play a role. When utilizing keywords, we now use them in a relative phrase that holds keywords or synonyms. This allows no longer helps you get found for new keywords like it did when it started, instead, it now helps Google better understand what your content is about. For example, when you keyword is “grass” for yard care, it also knows that “lawn” and “yard” or related to grass so it becomes a more relative article. If this article answers queries, there is a much higher chance to rank for the keywords or key phrases you want. URL structure will help as well. If you are using WordPress, change your permalink structure to represent the name of the page. For example, the URL for this page holds a keyword and what the page is about in just a few words. The shorter the better, on average. For example, instead of this page being named https://www.therebelape.com/?p=2580, the page is named https://www.therebelape.com/on-page-seo-tips which helps make it user readable, likely to be remembered, more trustworthy to share, and shows the users what the page is about. We’ve covered a few different things to help the SEO on your website that you can get started with today. A lot of the basic on-page SEO tips is really a lot of little things that begin to add up to a lot of larger things. So lets recap on a few of these tips. If you utilize any of these tips of have added any to your website, leave a comment below and let us know what is working for you and if you’ve noticed an increase in traffic from utilizing some or all of these suggestions.